Portion Control; we hear this word over and over when we discuss healthy eating habits or focus on getting back in shape. This simple concept has helped in making people aware of their correct serving sizes for various food groups and has helped eliminate over-eating. Many agree that the best way to understand portions and determine the correct portion size is to relate it to something we see every day and is easily remembered. The most common method used to determine portion size is with one’s hand. You may have seen a chart somewhere or read about this; your closed fist being the serving size for fruit or veggies, your palm being the proper serving size for meat, etc. A challenge that many people face with portion control is eating out. Most portions served in a restaurant are much larger than what is considered a normal serving. One way to overcome this is by getting a to-go box right when the food is served. Place half of the food in the box; thus making it inaccessible and allowing you to control your portions easier. When you are eating out take time to enjoy the atmosphere, the conversation going on. These simple steps will help ensure you are not over eating. This will also give your brain time to register that it is full. With the holiday season fast approaching the dinner parties and family dinners tend to increase. This is a challenge when managing portion sizes. When you have the family dinners, instead of having the food at the table why not place the food in the kitchen? By doing this, you are forcing yourself to get up and walk back towards the kitchen. That may give you the time it takes to register that you are full and don’t need the second serving after all. Portion Control is an important factor in healthy eating and battling the bulge. What are some useful tips you have found for portion control? Brothers-All-Natural Fruit Crisps are a healthy, convenient on-the-go snack. Made with 100% fruit and perfectly portioned to contain 60 calories or less and two full servings of fruit per pouch! 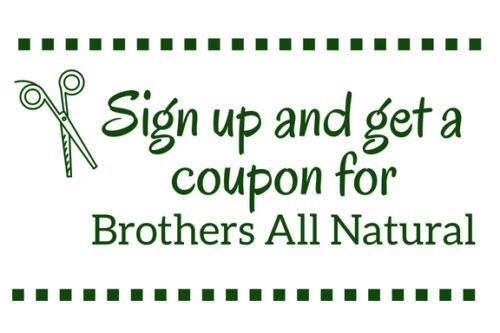 Brothers-All-Natural products are 100% natural; no preservatives, or color enhancers. Every product is gluten free, soy free, peanut/tree nut free, dairy free, non GMO, vegan, and OU Kosher certified. Check out the Disney Fruit Crisps for the kids!